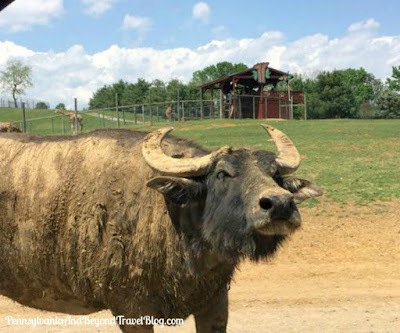 The Virginia Safari Park is a 180-acre drive-thru zoo and safari park located in Natural Bridge, Virginia. Admission into the park ranges from $13.95 to $21.95, depending on age (children vs. adult). Hours of operation 9 AM to 6:30 PM, depending on the season. * Safari Guidebook: One free per vehicle. Extra guidebooks are $2.00 each. * Giraffe Romaine Lettuce: $5.00 and includes souvenir cup. If you're traveling down to the park from central Pennsylvania, you'll want to hop onto I-81 and follow that down into Virginia until you see exit 180, in Natural Bridge. Follow signs to the park. For GPS Users: Virginia Safari Park, 229 Safari Lane, Natural Bridge, VA 24578. You'll enter the park at the main entrance located near the gift shop. If you need to use the public restrooms, you'll find them located in the gift shop building and another one at the watering hole & snack bar building within the park. Once in the facility you'll want to use your park map to meander your way through the park. 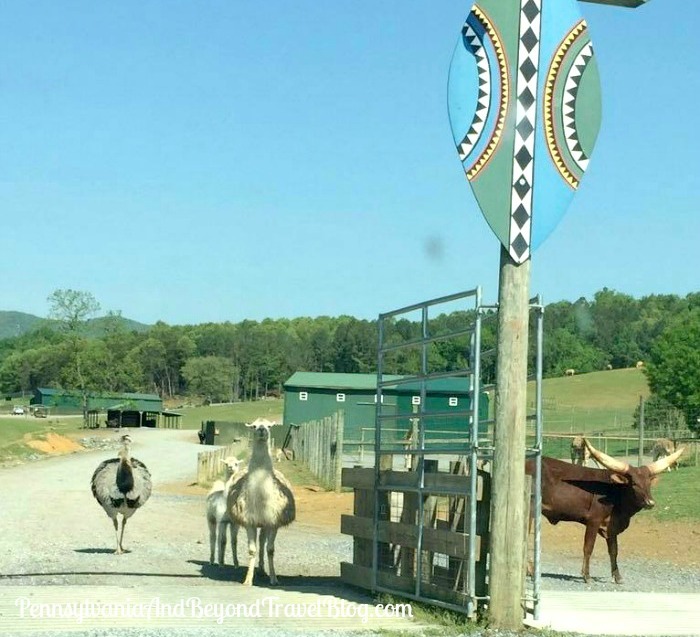 If you're looking for the petting zoo area, you'll want to enter via the Safari Village Entrance. If you have children along with you, they're going to love visiting the petting zoo where they can get up close & personal with the animals. 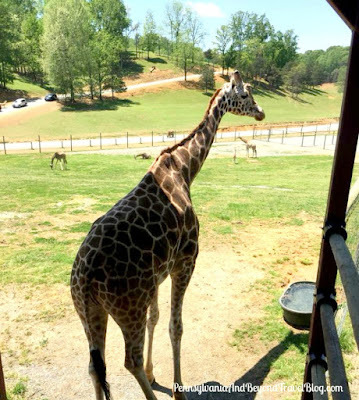 The Drive-Thru Safari has an entrance within the park that you'll utilize when doing the drive-thru portion of your visit. 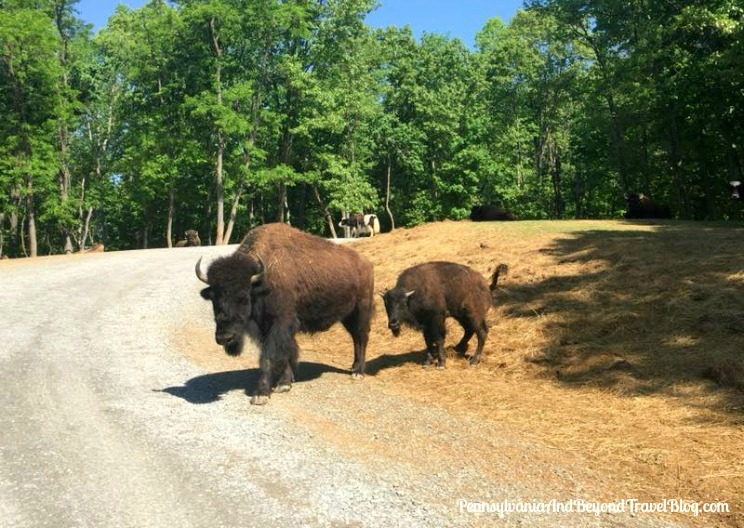 You'll want to drive slowly and always be observant of the animals around your vehicle and the cars in front & behind you. Per park rules: You must remain in your vehicle, keep your doors closed at all times and ONLY feed the animals the food you received at the park. No outside food! You can have your windows rolled down! 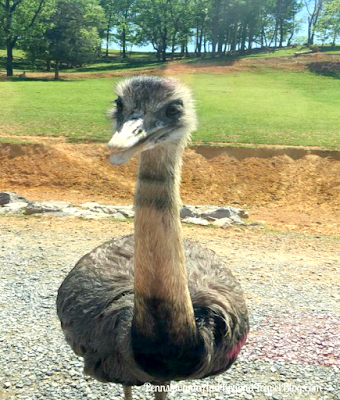 Some of the animals that you will encounter during your visit include (but are not limited to): Giraffes, Cheetahs, Spider Monkeys, Tigers, Spider Monkeys, Kangaroos, Pigs, Goats, Tortoises, Budgie Avery, Snakes, Turtles, Ostrich, Camels, Bison, Buffalo's, Llamas, Deer, Rhinos, Penguins, Kangaroos and more! 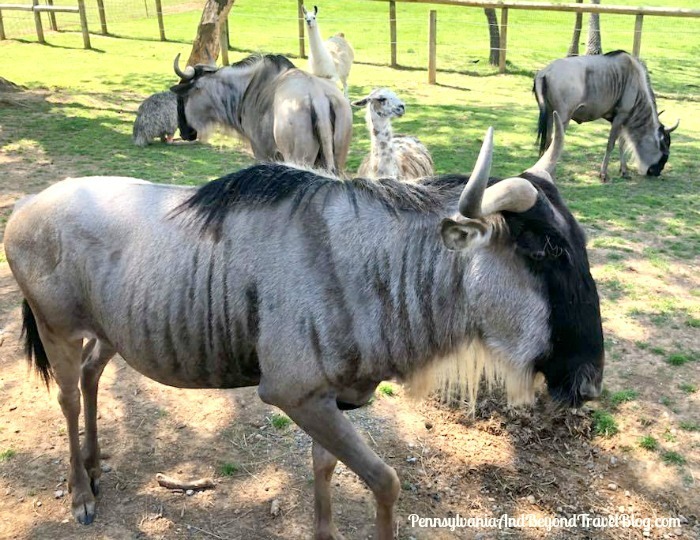 There are a lot of different animal species for you to see and to learn about. There is a picnic area in front of the park that you and your family can utilize. I recommend bringing along brown-bag or picnic lunches for you to enjoy. The picnic area has a covered pavilion, so you can sit down in a shady spot and enjoy your meal. The Watering Hole Cafe is located within the park and you can purchase lunch, dinner, beverages and/or snacks at the cafe. They offer up hot dogs, hamburgers, pizza, ice cream, soft pretzels, nachos, popcorn, icees, hot and cold beverages, plus more. We found their prices to be fairly reasonable. 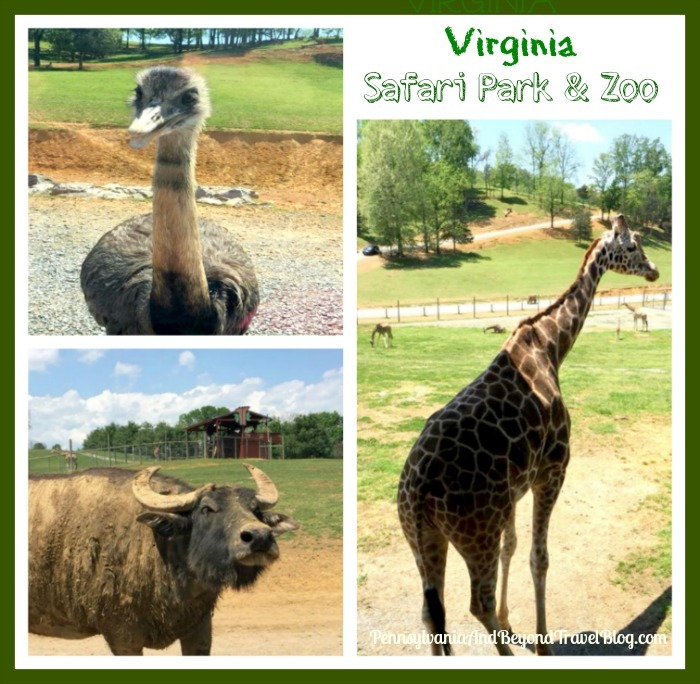 You can visit the Virginia Safari Park's official website online to learn more about them, obtain their operating schedule and to see a list of their current events. You can connect with them over on Facebook too.